Author I draw inspiration from: David Wojnarowicz. He wrote an amazing memoir called Close to the Knives: A Memoir of Disintegration, but I was first introduced to him as a teen runaway. Actually I was given a poem by him but I didn't know it at the time and neither did the older dude that was using the poem in an attempt to seduce me. I ended up carrying the poem around in my back pocket for years; as a runaway, sometimes it was the only thing I had on me. When I found out that the poem was written by Wojnarowicz, my mind was blown and I devoured his memoir and his diaries, discovered his photographs, his music and his paintings. Wojnarowicz was a queer artist and AIDS activist in New York in the 70s and 80s, who died of AIDS in 1992. I have a photograph of him smoking above my writing desk. Wojnarowicz was queer, he was a runaway, he was filled with rage, with beauty, with love. Though we are from a different time, I feel a kinship with him. Favorite place to read a book: I like to read in the bathtub. All my books eventually get bent pages from the steam. Actually, I ravage books - fill them with markings and musings, always in pen or marker, fold corners, stain them by leaving them in my bag, bend them out of shape while flipping though them in the tub. I'm horrible that way. Book character I’d like to be stuck in an elevator with: I would take any character from Angela Carter's The Bloody Chamber, but if I had to choose, it would probably be the woman (unnamed) from The Tiger's Bride, who eventually becomes a beast at the end of the story, or perhaps, she finally becomes herself. That kind of raw strength and fierceness is a quality that I admire. Also, that lady could get us out of an elevator in no time. The moment I knew I wanted to become an author: I don't think there was one definitive moment, but my mom told me that she used to find me in the basement when I was about three or four, using my crayons to copy out letters and words from books. I think I was interested pretty young. Though it was much later, in my teens, when I actually thought I could become an author that would write things for readers. I started writing overwrought poetry and mercifully realized that I was a horrible poet and should write plays and creative nonfiction. Hardback, paperback, ebook or audiobook: Hardback or paperback. I'm old school that way. I like the smell of pages, the feeling of them in my fingers. Books are like lovers, I want to take them in with all my senses. The last book I read: Heartberries by Terese Marie Mailhot. I am still reeling from it - Mailot's ability to balance crafted and considered prose while also laying bare the most vulnerable parts of herself - her work touched me deeply. Also, though I am a white working class queer girl from Port Alberni and Mailhot a First Nations Salish woman from Seabird Island, I related to her descriptions of home. We come from the same part of the world and I loved the way she talked about her life there, in all its joys and all its complications. I can't wait for her next book. Pen & paper or computer: I also like to write in the bathroom, usually in the early morning hours, sitting on the toilet (lid down) with a pen and notebook. I live in Brooklyn in a small studio. The bathroom feels like a little office, a place of repose. Once I have writing that seems like it might be something more than a diary entry, I will transfer it to the computer for editing. But even then, if the work started to seem over-edited I will go back to handwriting. Handwriting feels like painting or composing to me. I use BIC pens, I get messy, and because I am left handed I get covered in ink. I like the physicality of writing that way. Book character I think I’d be best friends with: Henry DeTamble from The Time Traveler's Wife. The movie version of Audrey Niffenegger's book downplayed the awesomeness of DeTamble's time traveling abilities in order to make more romantic cheese. He would have the best stories, and you'd never know when he'd show up and take you on an adventure. Also, he has a darkness that I find relatable. We could share secrets. I'd like that combo. If I wasn’t an author, I’d be a: Marine biologist. I'd study whales, specifically humpback whales. I'm fascinated by them and would love to get up enough nerve to swim with one. Maybe one day. They are REAL big. Favorite decade in fashion history: I kind of like now. Everything feels gender fluid - there's a lot of cross dressing and experimentation and play with gender in fashion right now. I love that, feeling unhindered and wearing whatever makes you feel great. Place I’d most like to travel: This changes all the time, but I think I would like to see Paris before I die. I'd like to eat cheese and butter croissants there. And even though it's bad for me, I would probably fight the urge to smoke cigarettes while walking though Pere Lachaise. I know, I know. It's the sixteen year old goth girl in me. She's always inside me somewhere, listening to Siouxsie and the Banshees and reading Anne Rice novels. My signature drink: I don't drink anymore, so you'll usually find me with an Arnold Palmer. They are delicious, and I often make my own sun-tea and lemonade in big pitchers for dinner parties. That way I can be sober and other people can bring liquor and mix it with one or the other if they like. A win-win for all. Favorite artist: This also changes a lot, but I have access to the On The Boards website, a performance venue in Seattle, and every few month I re-watch Okwui Okpokwasili’s Bronx Gothic. Okwui is a mesmerizing performer, and she talks about trauma in a soft, almost childlike way, while also not letting the audience off the hook. She shows us the intensity of assault, the desire of female friendships, the complications of gender and race. I can't look away once I've turned it on. It also opens with one of the most amazing dance/movement pieces I've ever seen. Number one on my bucket list: Gotta repeat here. I really should swim with a whale. I dream about them about once a month, dreams where you wake up and for a moment it feels like the dream was real and that your waking life is a dream. They have to be showing up for a reason, so maybe if I get face to face with one, I'll get a message. Anything else you'd like to add: Thanks for the great questions. This was fun. 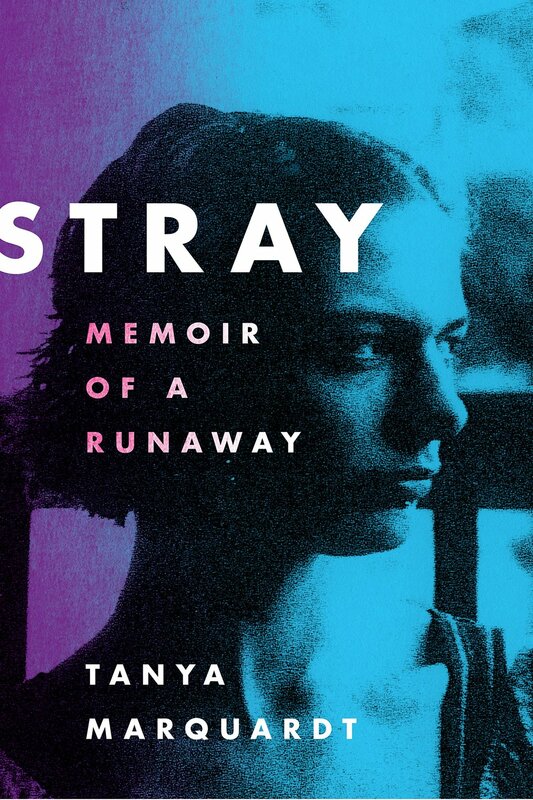 And if you want to know more about me, you can pick up my book, Stray: Memoir of a Runaway.